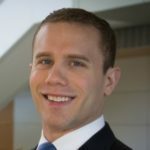 Lee grew up in Boulder, Colorado and is a 2008 graduate of the United States Naval Academy and 2015 graduate of the University of Chicago Booth School of Business. He served for five years in the United States Marine Corps as a Human Intelligence Officer, deploying to Helmand Province, Afghanistan in 2010 as a team commander and to Umm Qasr, Iraq in 2011 as a foreign military advisor to the Iraqi Marine Corps. He started his civilian career at Goldman Sachs in the Investment Banking Division before joining the COO’s Operational Performance team at Hewlett Packard Enterprise in Palo Alto, California.